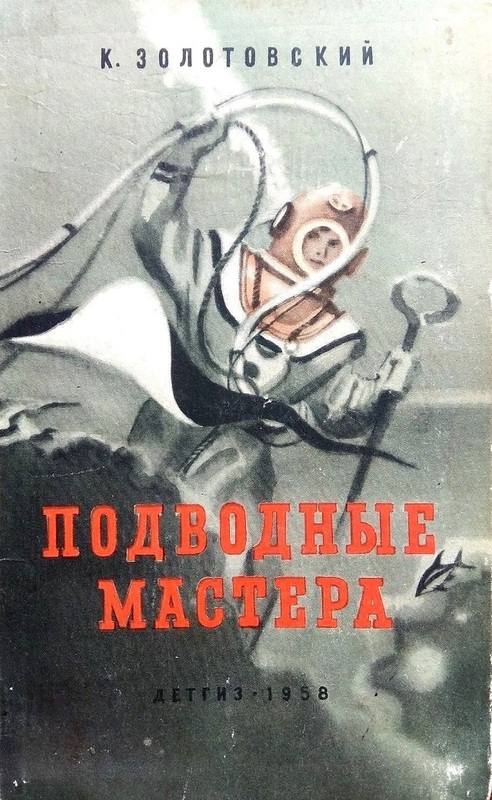 This post features another Russian book that I saw on eBay - Underwater Masters by K. Zolotovsky. 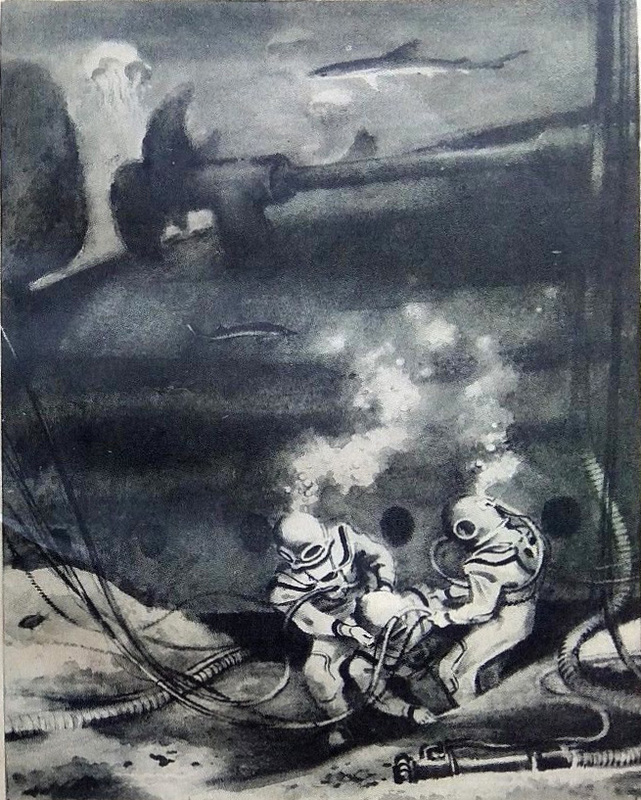 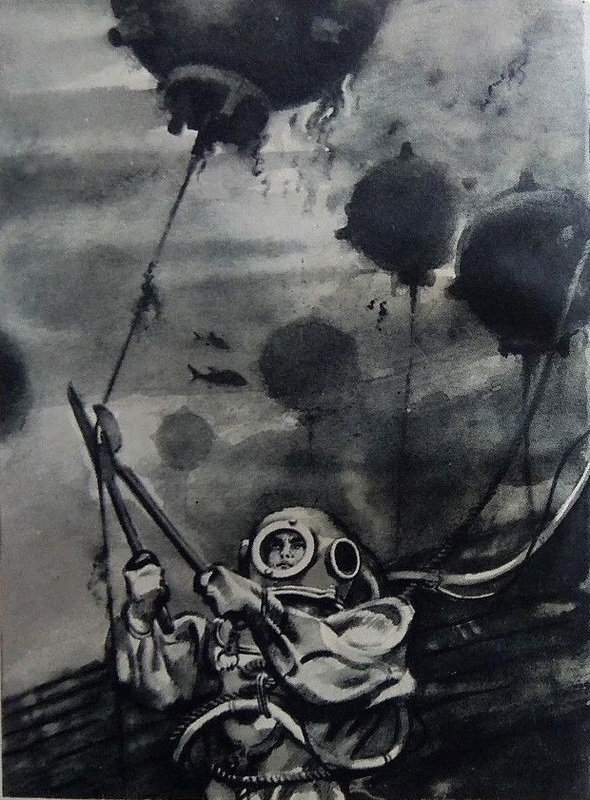 This is what the seller had to say about the 1958 publication: "This book is about the work of Soviet divers during the war and in the days of peaceful construction. 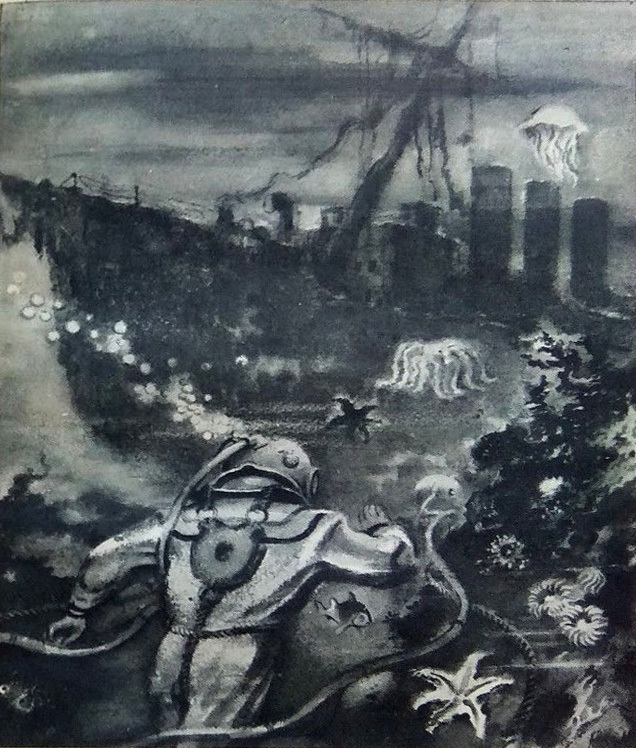 The author - a diver in the past - tells about various cases from the life of "underwater masters", sometimes funny, and sometimes tragic."